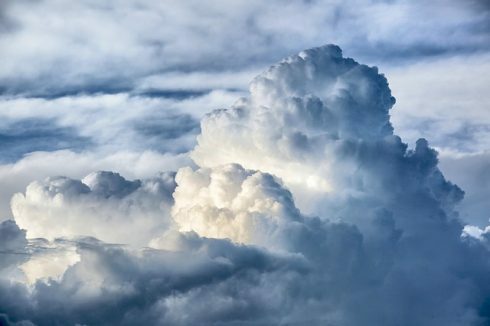 The emergence of serverless computing is causing organizations to revisit the notion of NoOps for their development processes. Serverless enables businesses to achieve velocity without having to worry about operations. NoOps is the idea that if organizations can take operations out of the equation entirely, they can focus more on the development side of things. “In this state, the ‘operations’ of a system become entirely automated and the system runs itself,” said Ken Corless, a principal with Deloitte Consulting in its cloud practice. Serverless is a similar idea to NoOps, but focuses more on allocating cloud-based compute, storage and memory resources based on certain needs, explained Caio Milani, director of product management for MarkLogic, a data integration and NoSQL database solution provider. “With serverless, customers don’t have to worry about servers and other infrastructure. However, the majority of serverless offerings right now are point solutions designed to solve a specific problem, and they require a great deal of effort on the part of developers to weave them together — if they indeed can be woven together,” Milani explained. “An effective NoOps platform, in contrast, is a fully integrated solution that takes care of everything from compute, storage and memory to data management, search, data harmonization, semantics and analytics — all without any developer resources.” But by embracing serverless, organizations are on the path of adopting a NoOps mindset because it removes things like managing services, patching, induction, detection and monitoring, Corless explained. NoOps can be viewed as the next step in the evolution of DevOps, Milani explained. While DevOps has made great strides to get the development and operations side to work together and develop and deliver solutions on a continuous basis, he said, organizations are lacking the time and resources necessary to handle the data integration, provisioning, security and plumbing that operations entails. “With a strong NoOps solution, everything related to ops is taken care of, so you don’t need people to perform all of the traditional tasks related to operating a critical application infrastructure in production,” said Milani. The operations staff will still be necessary, organizations will just be tasked to figure out how to redeploy their skills. “Luckily, there is likely no end to the ways in which these people will be able to add value to the company,” said Milani. Additionally, Corless explained that NoOps doesn’t mean that DevOps is no longer necessary; it is simply the “nirvana state” of DevOps and uses the tenets of DevOps in order to be successfully implemented. For instance, whether you are handling operations or not, you still need good and clean coding practices, CI/CD pipelines, proper QA and staging environments, and developers responsible for code in production, according to Milani.